Turkey’s Sunrise Yachts joins the plethora of yards and designers showing new projects at next month’s Cannes and Monaco yacht shows as they introduce their latest concept, the Sunrise 50 motor yacht. Continuing the yard’s successful collaboration with naval architect Espen Øino and interior designer Franck Darnet, the new 49.8m superyacht has a layout that brings the owner and guests closer to the sea and to light: very large windows, skylights, opening balconies, a central spiral staircase and separate functions for each deck are some of the most notable interior design features found on the Sunrise 50. 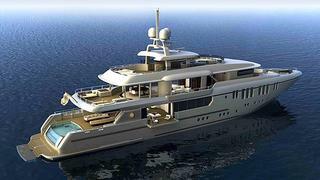 To be built to Bureau Veritas class and accommodating up to 11 guests in five staterooms, the Sunrise 50 is scheduled for launch at the end of 2013.